Execute any DOS or BIOS interrupt from the keyboard. Displays all registers before and after. Great for testing DOS functions. and binary. Byte and word configurations are shown. The best way to learn about int86 is to try using it. 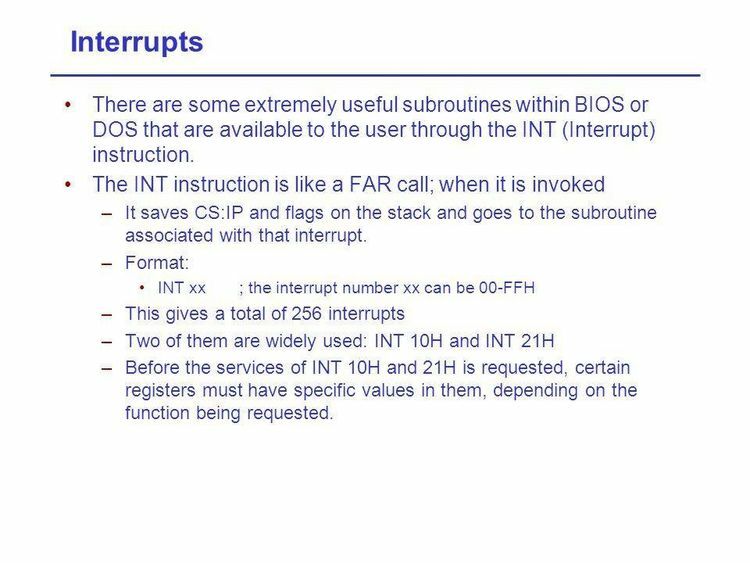 In this example the DOS service interrupt (decimal 33) was requested. The DOS function call to function 42 (decimal) was placed in ah. This request the date to be returned. week (Thursday). The return status of the carry flag is also shown.